While in the past, Canada’s design identity could have been hung on a lot of raw wood and point blankets, today we’re seeing a dynamic mix of materials and colours that are changing the perception of what Canadian design means. 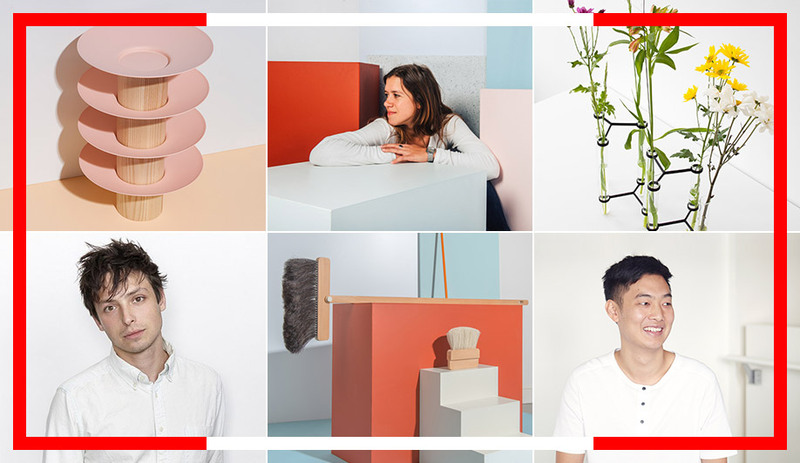 In the second instalment of our three-part series celebrating our nation’s best and brightest (check out our list of the firms and designers creating the the best interior spaces), we look at 30 industrial designers and collectives who are rebranding our country one item at a time. Some you are surely familiar with, others have only recently begun shaking up the scene. 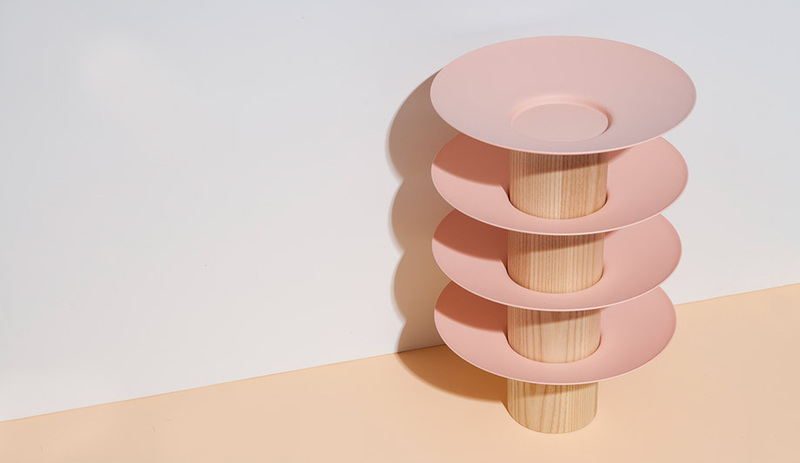 While third-year students at Emily Carr University of Art and Design, the duo produced their first licensed design, the Heavystock System of shelves, which debuted at MaisonetObjet in 2013 and was almost immediately picked up by Taiwan design house Esaila. 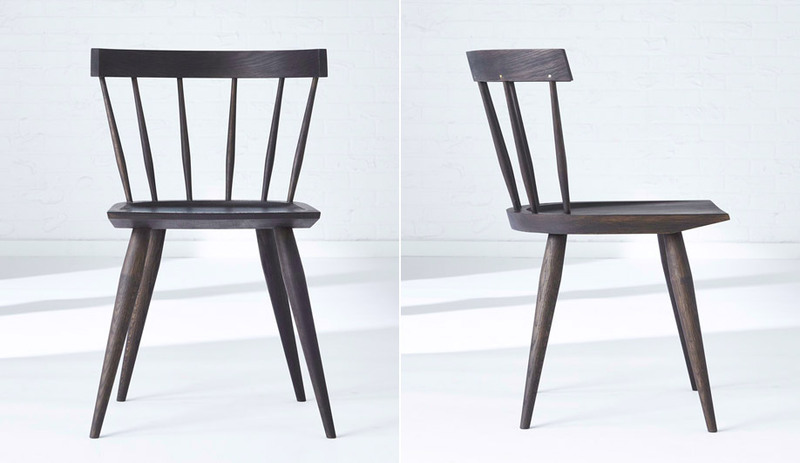 One year later, their Profile Chair was on the roster at Brooklyn-based curator Souda. Now, Calen Knauf and Conrad Brown churn out everything from bamboo-beaded credenzas to a twig-like multi-purpose packing and smoking tool. 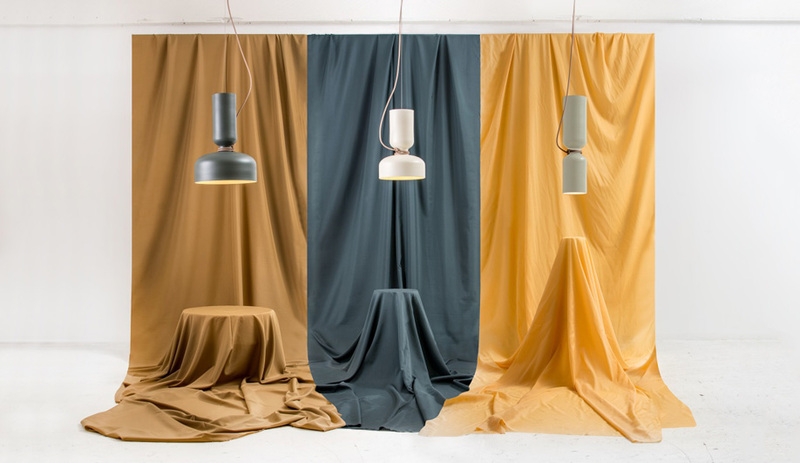 At the urging of MSDS (another studio on this list, and on our list of the most exciting interior design firms), the pair brought their game to the Stockholm Furniture & Light Fair in February, where they were awarded the Rising Star Editors’ Choice Award. With a recent foray into space design, Say Hey Café, a sandwich joint in downtown Vancouver set to open later this summer, will feature semi-industrial cable-hung lighting that nods to the history of the area while bucking the usual West Coast tropes. 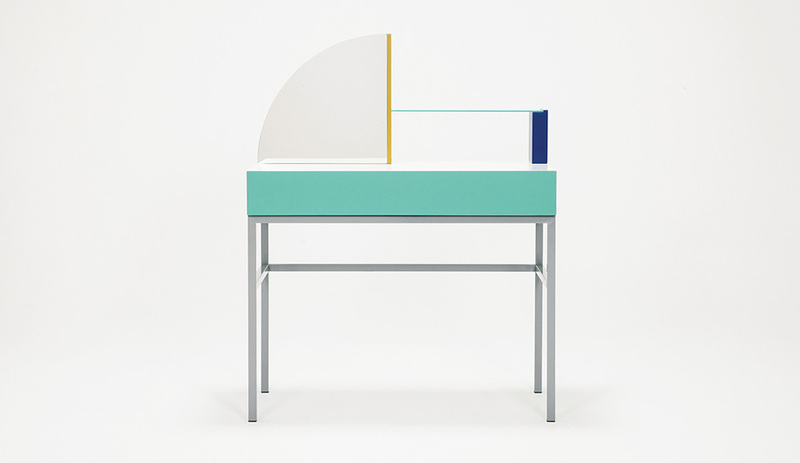 Since graduating from the University of Alberta in 2007, Mowat has gone on to make a name for herself through her unique blending of materials, colour, proportion and form. 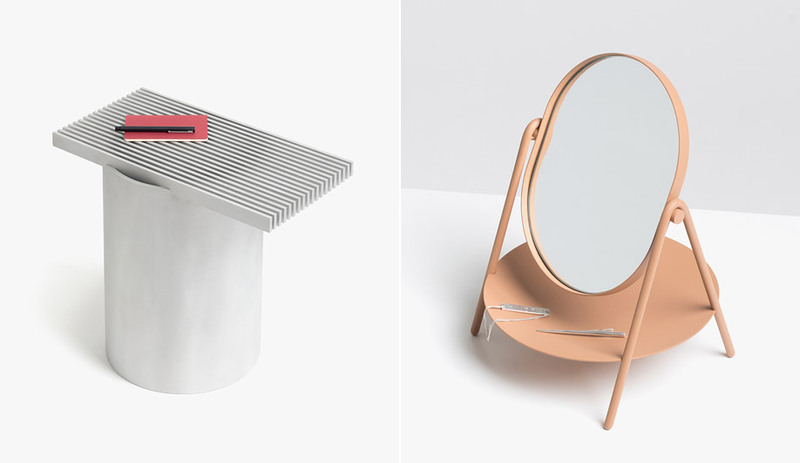 Part of the Assembly collection for EQ3 that showed at IDS in 2016, her Dressing Table earned positive reviews thanks to its delicate legs, amalgamation of graphic geometric lines and dynamic mix of materials. Her ever-growing portfolio is chalk full of private commissions that exemplify her offbeat style and one-of-a-kind vision. Currently teaching at the University of Oregon, Mowat works with forward-thinking studios like Othr and Umbra, and took part in the 2016 instalment of the collective Furnishing Utopia, organized by Studio Gorm, that celebrates the influence of Shaker design on the modern-day. Since first drawing attention with his sleek reimagining of the humble rolling pin, Jordan Tomnuk has gone from strength to strength, stocking his portfolio with a range of innovative lighting prototypes, furniture and interior environments that attest to his intention to always question convention and improve function. 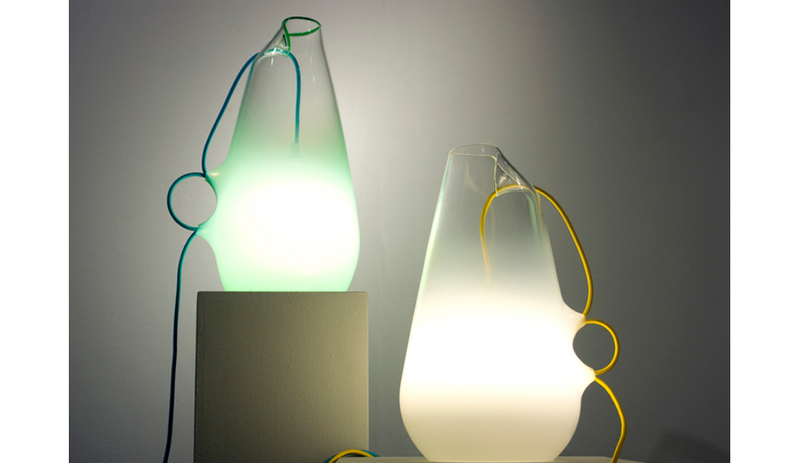 Tomunk’s Lune Lighting Collection was heralded as the Launch Pad winner during last year’s WantedDesign in New York. The circular pendant and wall sconce (shown) is composed of two discs, with one set on a rotatable axis to control the level of light cast. When compiling a list of “must-sees” for out-of-town designers and architects, you must include Mjölk. Located in one of Toronto’s scrappier neighbourhoods, this accessories and furniture boutique is an oasis of calm – the owners, John and Juli Baker, are expert curators of Scandinavian and Japanese design. Since opening in 2009 they’ve introduced the city to artisans and manufacturers we may otherwise have never been exposed to. 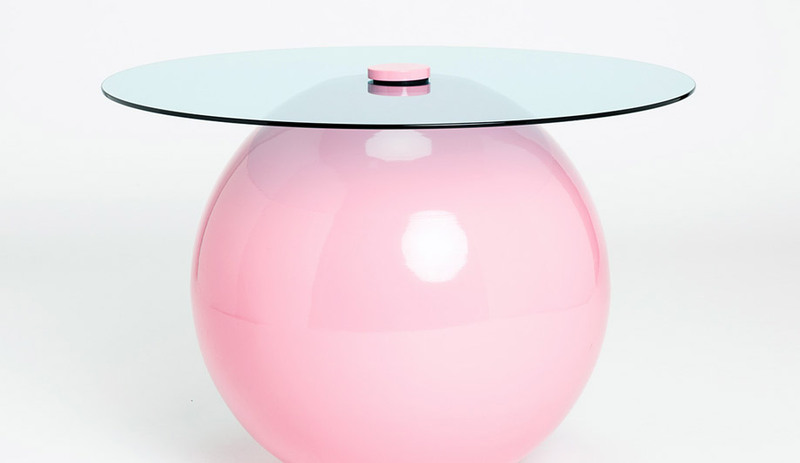 The pair has a bespoke collection of housewares imagined by some of the world’s most celebrated designers. 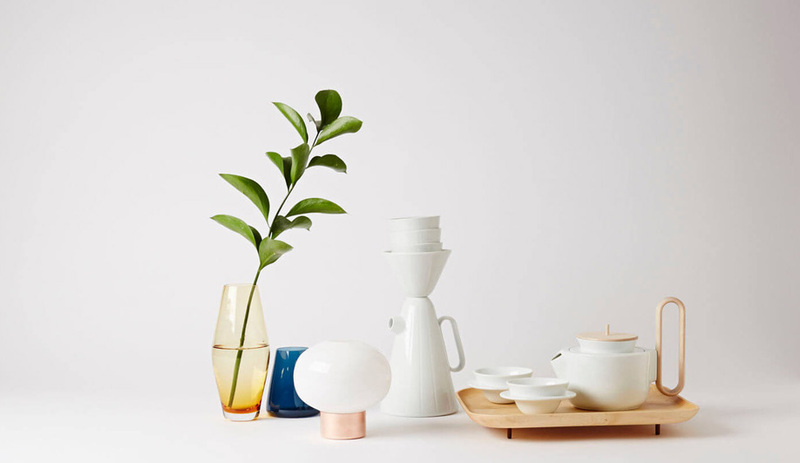 The Mjölk Collection includes a coffee set and ceremonial tea service by Luca Nichetto, pendants by Oji Masanori, a watering can by Anderssen & Voll, and fire tools by Thom Fougere, among others. Many of these pieces are award-winners but what’s most impressive is that the Bakers connect the designers with Toronto artisans and manufacturers to produce the small batch collections, ultimately connecting local talent with worldly ideation. Coming up: a jewelry collection designed by Claesson Koivisto Rune. Since setting up his own studio in 2009, this Canadian expat has been on a rapidly increasing trajectory. His early days saw him working under the guidance of British design juggernaut Tom Dixon and he now counts Hem, Roll & Hill, Umbra, Matter-Made and Ace Hotels among his many clients. His work is utilitarian but crafted with a refined hand and conceived to be enduring. Malouin recently collaborated with Hem on Study for Screens during NYCxDesign, an installation of provoking screens that explored the role of privacy in today’s office environment. He’s also the director of Post-Office, an architectural and interiors practice that has designed spaces for retailers like Everlane, Aesop and Artek. Also, we were thrilled to have Malouin as the designer of this year’s AZ Awards trophy. 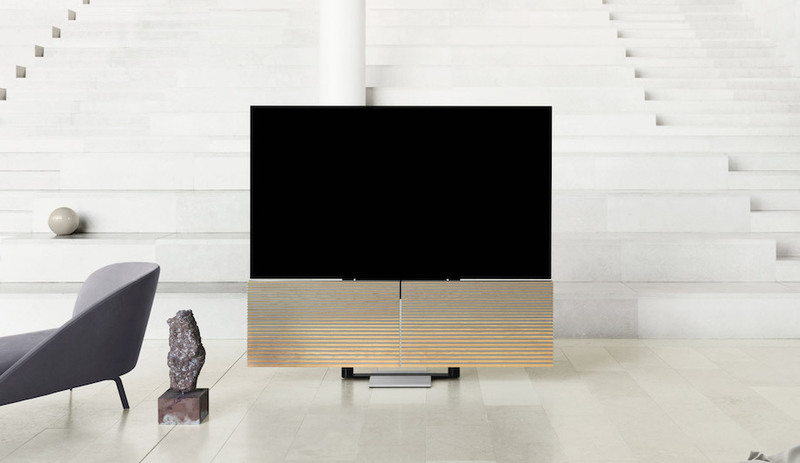 Not all credenzas are created equal. Teak options can be picked up at vintage shops, and there’s always the build-it-yourself-in-an-hour options. Then, there’s the kind that Heidi Earnshaw makes, which can take up to three months to craft from planks hand-picked from Ontario lumberyards. Earnshaw brings a whole new level of mastery to even the most common furnishings. There’s nothing about her commissions – which include bureaus, chairs, tables, cabinetry and, of course, credenzas – that’s remotely haphazard. Corners, grips and joinery are almost invisible at first glance. Sliding dovetails, and mortise and tenon joints are immaculate; handles are cleverly sculpted vertical grooves. For those not in this neck of the woods, Earnshaw has a series of ready-made furnishings for those looking for an immediate hit of craftsmanship. If there’s one material that best represents this decade in design, it’s brass. And Michael Stamler and Denise Murphy’s made-to-order fixtures perfectly harness the material’s industrial elegance. Harkening back to mid-century modern lighting, their sculptural chandeliers are impressively grand. The studio’s latest launches show them moving away from conventional mid-century styles and into more surprising territory. Zig-Zag creates a maze-like wall sculpture of grass arms and glass-blown globes, while the Mode and Float chandeliers skew more organic, with dense clusters of metallic branches. Frustrated by the opacity he encountered when pitching designs to big-name manufacturers, this Toronto-born Rhode Island School of Design graduate decided to launch his own brand dedicated to affordable homewares. That was back in 2014. Now, Good Thing is known for delivering familiar staples with unexpected twists: a key tray with playfully ruffled edges, for example, or a dodecagon-shaped flashlight accented with a rubber bezel. Good Thing expanded into small furniture with this year’s ICFF launches. A metal stool by MSDS Studio, and an ash side table by Chen and Kai show the company dipping its toe into a bigger pool – and Wolfond has plans to introduce even larger pieces in next year’s collection. Plus, with a Toronto office opening this summer, the brand is poised to act as a launchpad for the careers of at least a few fresh-out-of-school Canucks. Samuel Lambert founded his collaborative design studio in 2010 and has since gone on to develop some of the most ambitious lighting we’ve seen in a long time. 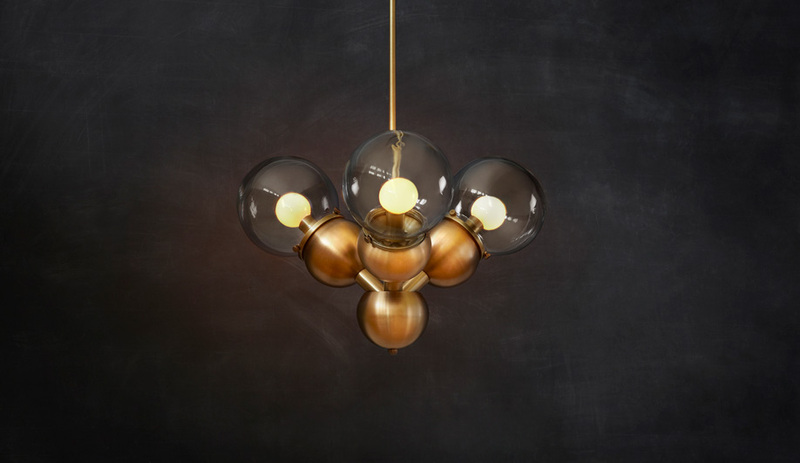 At an intersection where poetry meets complexity, Lambert’s fixtures draw influence from art, design and architecture, and his maker mentality harkens back to serious hand-hewed craftsmanship. 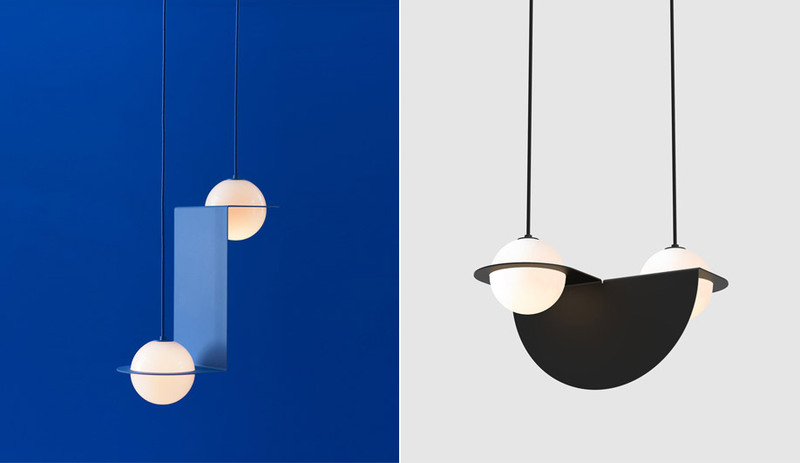 Breaking onto the European design map in 2016 at Interieur in Belgium, Lambert & Fils reached a much wider scale this year at Salone del Mobile’s Euroluce, where it debuted its latest prototypes. The celebrated Fogo Island Inn by architect Todd Saunders reaffirmed Newfoundland’s position on the travel-destination map, but it has also helped rejuvenate the community through its locally crafted furnishings. 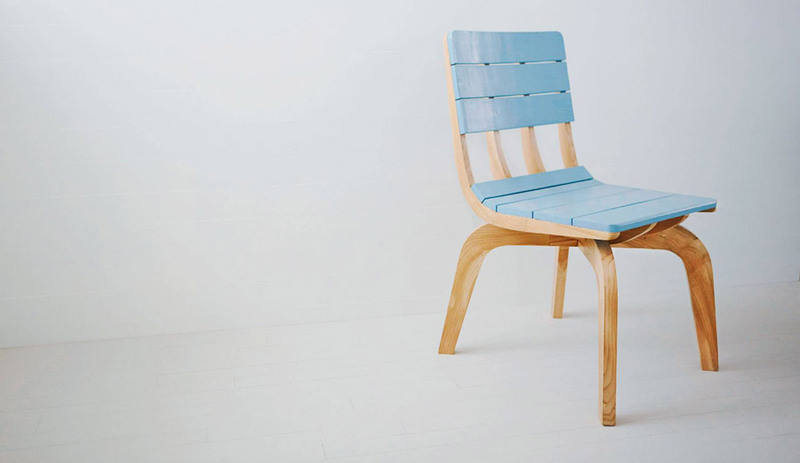 With pieces like the Punt Chair, whose construction evokes the area’s boat-building heritage, and the Snake Cushion, a thick coiled pillow made from tiny scraps of colourful yarn whimsical, the furniture line, available globally through Klaus in Toronto, introduces a new vernacular while maintaining a decidedly east coast aesthetic. A project of the Shorefast Foundation led by Zita Cobb, the Fogo Island Inn collection partners international and Canadian designers with makers living on the island to produce the collection, bringing industry and economy to the island community. Partners in design Brian Richer and Kei Ng hit the local scene in 2006 with a sauna made from a shipping container and pendant lights crafted from recycled fluorescent light tubes. 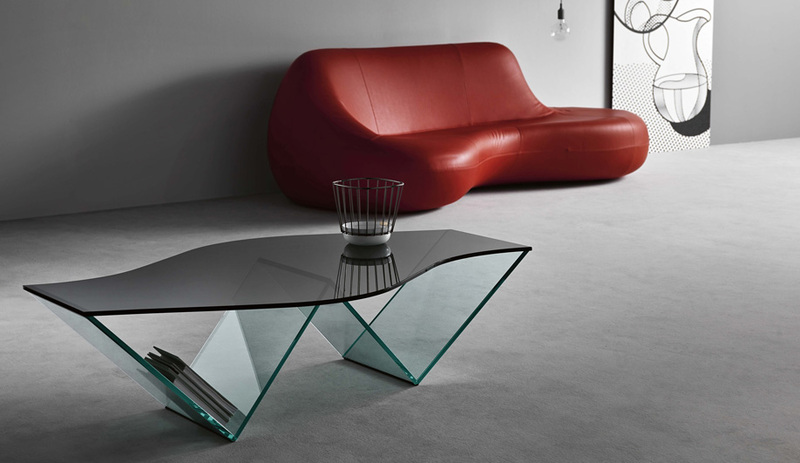 In 2011, the pair had assembled a well-rounded collection of home furnishings which they showed in Milan – turns out Italy has a love for grunge-chic, too. Since then Castor has truly diversified – they’ve completed several stunning interiors, counting restaurants, an architecture firm, even a bridal shop among them – and while their products are still wildly experimental, employing Tesla coils or chiseling blocks of marble – they are much more sophisticated; the lighting especially impressive. An Umbra alum who played a hand in the launch of the brand’s influential Shift line of designer collaborations, Tom Chung struck out on his own in 2015. While his burgeoning studio has impressed with its retail and co-working environment designs, Chung’s object designs are where his signature personality really comes through. This year, he made the journey to Stockholm Furniture Fair to unveil a roster of fresh furniture pieces. Chung is quickly catching the attention of some big-name manufacturers. This year, Scandinavia’s Menu launched a trio of cast aluminum black pendants designed by Chung with fellow Umbra vet Jordan Murphy to resemble ancient plumb weights. 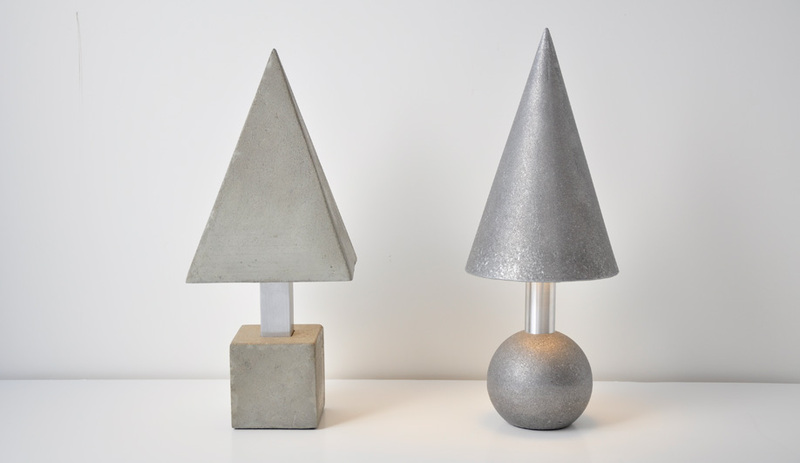 Establishing his studio in 2009, Peet garnered international recognition when his Specular table light prototype was selected as a finalist in the D3 Contest (now the Pure Talents Contest) at IMM Cologne in 2011. Now counting Klaus, Umbra and Roll & Hill among his clients, Peet’s finely detailed aesthetic walks the line between playful and sophisticated. In 2014 he cofounded AndLight with Matt Davis and Caine Heintzman. 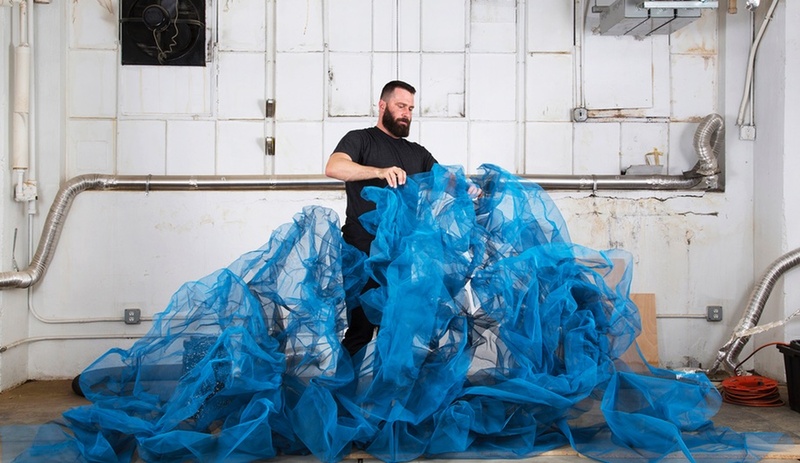 Peet was the inaugural winner of the Design Exchange Emerging Designer award in 2014, and last year was awarded the BC Creative Achievement Award by the Government of British Columbia. A sense of calmness and sophistication pervades throughout the work of this Toronto ceramicist. Her ethereal installations and precious object designs oscillate between taking inspiration from nature – as is the case with the dandelion spores she designed to hang in Toronto’s Four Seasons hotel – and expressing a more minimal, geometric aesthetic, evident in her custom vases for floral shop Flúr. For this spring’s NYCxDesign SightUnseen Offsite exhibition, Coe re-teamed with designer Lera Moiseeva – her collaborator on the hit Sucabaruca coffee carafe, designed with Italy’s Luca Nichetto for Toronto boutique Mjölk back in 2014 – to create Lu, a minimalist table lamp that slots a white slip-cast dome shade into a black-stained cylindrical porcelain base. Included on many “Best of Show” recap lists, the light demonstrated Coe’s ability to employ porcelain in unexpected ways. A meticulous researcher of materials, history and how people live with and actually use products, Thom Fougere’s designs consistently reinvented how we engage with the objects that surround us. 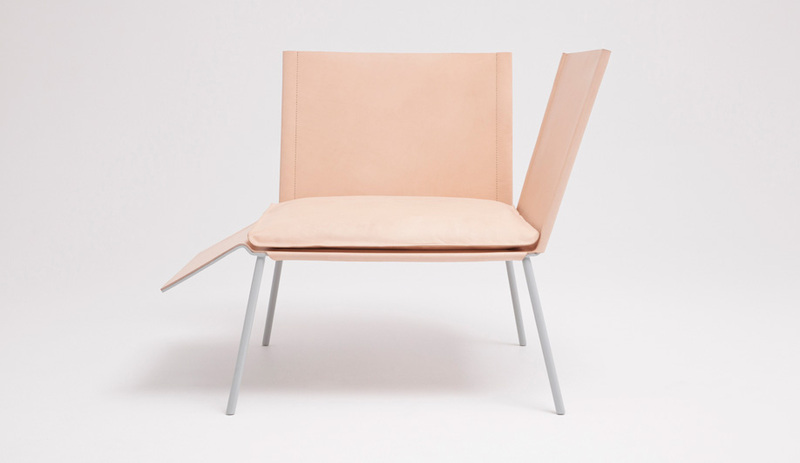 His Saddle Chair (shown) breaks free from the typical lounger with its two leather backs and single footrest, letting the sitter engage and get comfortable on their own terms, while his Fire Tools (for Mjölk Collection, #4 on this list), stripped down to their essential elements, are the result of an exploration on the history of man’s relationship to fire. Why you should know him: Only 24 when he was appointed creative director for EQ3 in 2011, Fougere has helped shape the proudly made-in-Canada brand into one that expresses a modern sensibility while at the same time staying true to its roots. 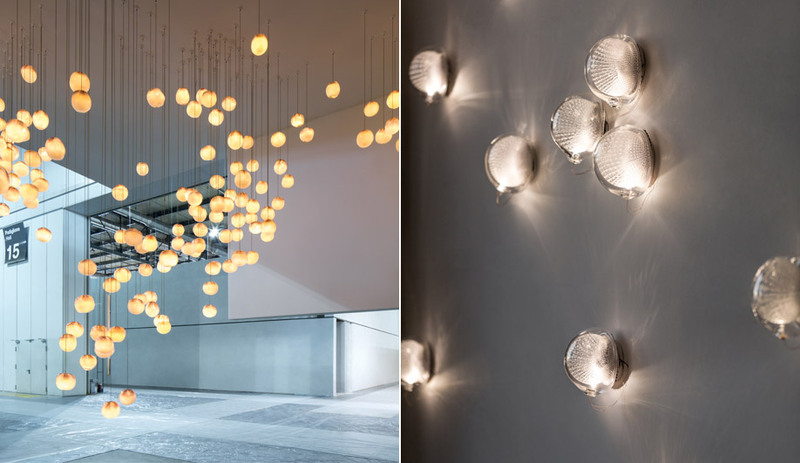 As creative director of Bocci, Omer Arbel has brought his experimentations to life, exploiting the materiality of glass to create lighting that almost defies logic. He regularly incorporates materials like wood, fabric, concrete and steel, exploring their intrinsic mechanical, physical and chemical qualities. At the end of 2015, to celebrate the 10th anniversary of Bocci, Arbel went global and opened a research and design outpost in Berlin. 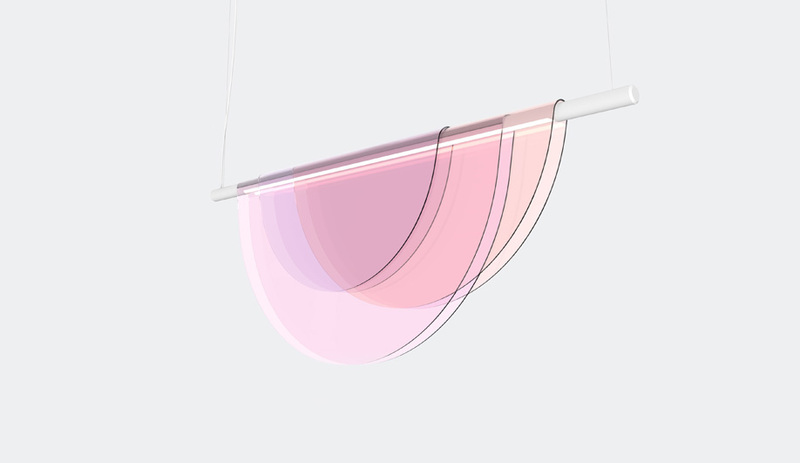 At Euroluce this past April, visitors were awestruck by Arbel’s installation of his new 87 Series – 150 half-metre loops of ethereal white glass dripped like pulled taffy from the ceiling. Since opening shop in Toronto’s west end back in 2014, designer and woodworker Peter Coolican has established himself as the king of skilfully crafted Shaker-style wood furniture. He favours wedged-through-tenon joinery and brass peg accents that subtly communicate the story of each piece’s construction. The visual honesty of these details only adds to the quiet beauty established by the handsome silhouettes of his maple, walnut and oak seating and benches. While he has a strong command of the simplicity and workmanship that define the Shaker aesthetic, Coolican also demonstrates a deep understanding of the philosophy behind the beloved style. This year he is introducing a peg rail shelving system that mimics those that ran throughout classic Shaker homes. True to the history of these structures, it’s designed to hold hats and coats, but also Coolican & Company’s own corded Madison chairs. 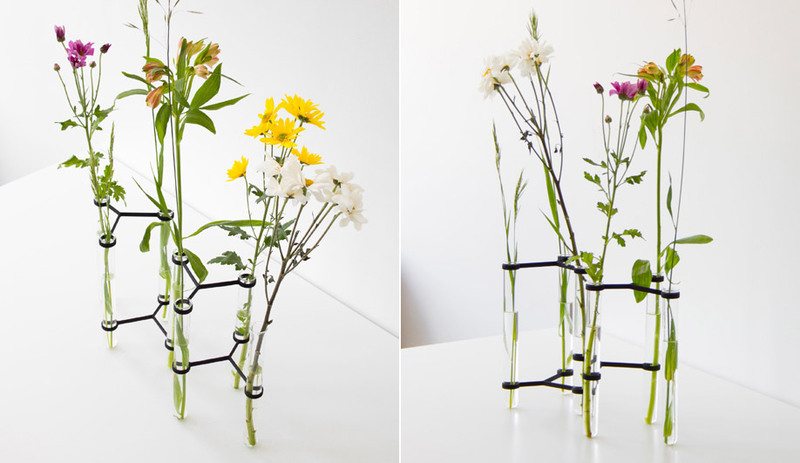 Elevating everyday objects to the exceptional, Char Kennedy aims to engage users on a thoughtful as well as a simply physical level. 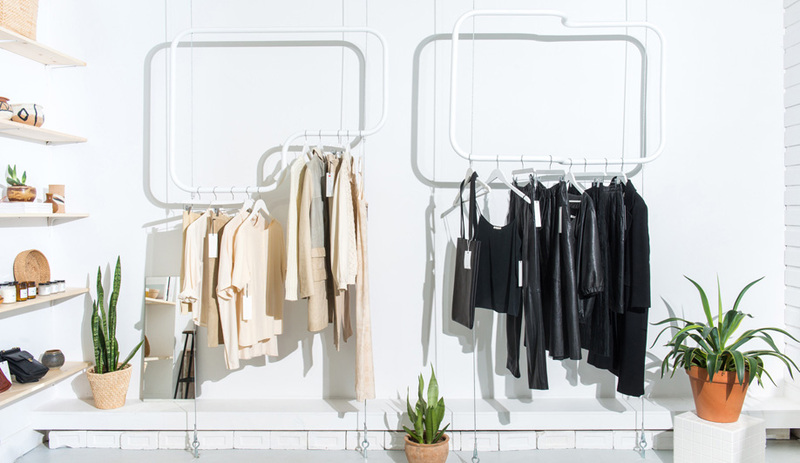 A perfect example is her Base Clothing Rack (shown), which turns an often overlooked retail element – the display rack – into something that draws attention to not only the hanging wares but to the sublimely designed item displaying them. The understated beauty of the unit lies in the graceful curves in the white powder-coated steel tube framework and warm maple wood base. Part of the Compact Living exhibition for Umbra during Toronto Design Offsite 2016, her Pivot Broom wowed with how it cleverly addressed small-space living by affixing the sweeper on a central axis that rotates in multiple angles. Perhaps our most well-known expat in the product design world, Karim Rashid has been developing eye-catching, colour-saturated objects – and spaces – since introducing his Garbo trash can for Umbra in 1996. 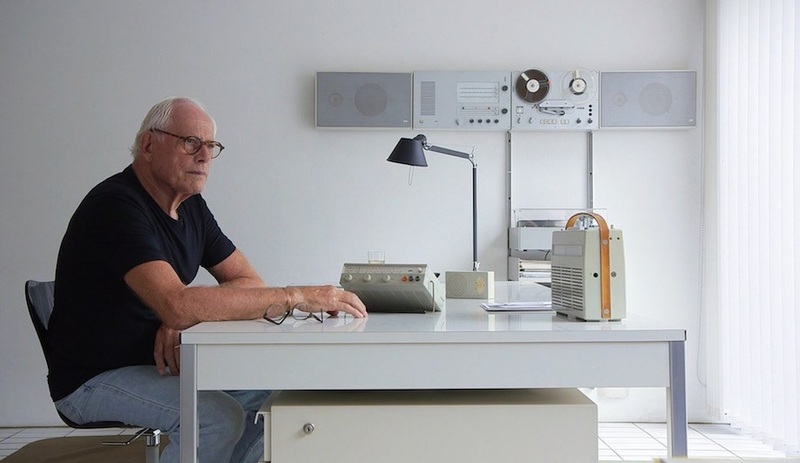 From this single utilitarian piece, he began working towards making design accessible to all and emphasizing the importance of design in everyday life. He now has upwards of 3,000 designs in production, with pieces included in 20 permanent collections, and frequently collaborates with a diverse bunch of clients, from Alessi, Artemide and 3M to Bonaldo, Samsung, Citibank and Hugo Boss. His work is so prolific that you most likely own something he has designed. Not to mention, his trophy case is packed with more than 300 awards, most recently for his Pulse Table (shown). Christian Lo and David Ryan took hold of the spotlight this January when they introduced their first collection at Toronto’s Interior Design Show. They went on to win the trade show’s Best Collection award, then headed south of the border to exhibit at WantedDesign’s Launch Pad program in New York. The studio’s polished brass Ohm pendants, disc-like Horizon wall sconces and aluminum Dawn tube light draped with smoked grey plexiglass panels all have a fun, sci-fi feel to them, communicating that this studio’s sights are set squarely on the future. Lo and Ryan’s work is already set to jazz up a future “it” spot. The duo is currently at work fabricating a custom fixture for Toronto’s soon-to-open Broadview Hotel – a buzzy property that’s on everyone’s radar thanks to its beautiful restoration of a Richardsonian Romanesque building in the city’s east end. 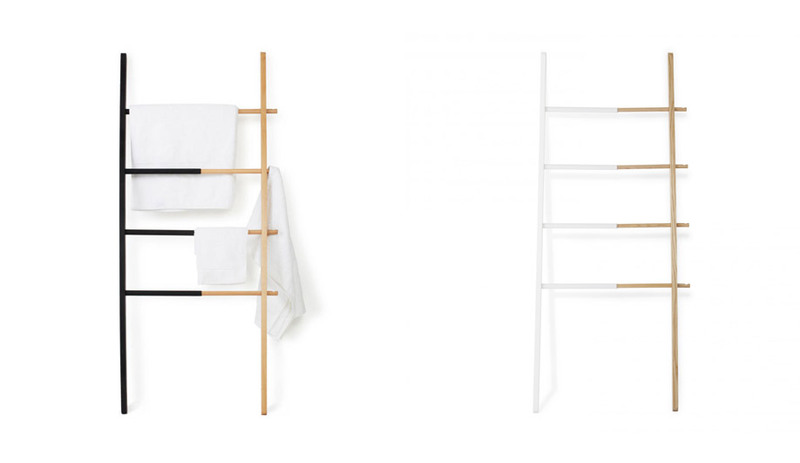 Because their body of work is growing and being picked by big and diverse international manufacturers including Muuto and Normann Copehagen. The studio introduced Live Work this year at the SaloneSatellite component of the Salone del Mobile Milano. The hybrid residential-contract collection which consists of a generous desk, nomadic side table, a task chair that looks more occasional thantowering, translucent floor lamp got numerous looks from major players (Bruunmunch is now producing the desk). 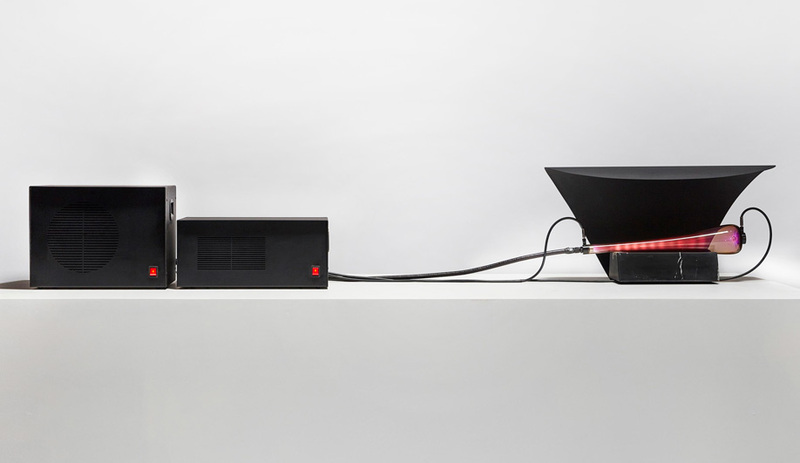 A driving force for Chifen Cheng is how to maximize the functionality of a minimal design. Playing with geometry, light and shadow, she takes her conceptual sketches to conception through a constant experimentation with shapes, colours, functions and forms, always with an end result that is simple, clean and undeniably beautiful. 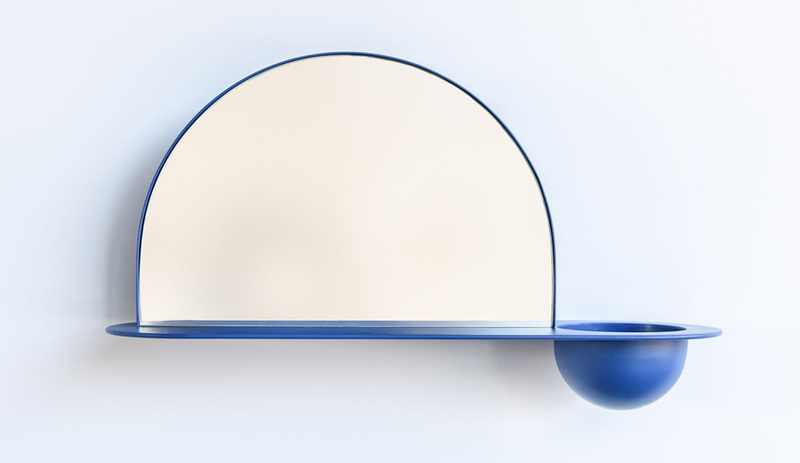 Her minimalist jewellery has the look of a line drawing but there is an architectural integrity that gives it a graphic weight, while her wall-mounted Two Halves Shelf (shown) packs a lot of dimension in a tiny form – a flat functional surface is split by a half-moon mirror, offset from the wall to provide a slot for mail, and a shallow bowl can contain anything from a tiny house plant to a handful of change. Cheng’s Focal Point Lamp, an illuminator encased in porcelain and held aloft by a bent copper rod, won her the an Iron A’Design Award in 2016. Umbra is one of Canada’s most recognized housewares brands, much ado to this man. With the company since 2001, he worked his way steadily up the ranks and tops the company’s masthead as VP of Design, in charge of contractual and in-house talent (whom you can see working away on the second floor of Umbra’s flagship store downtown Toronto), and the uninterrupted roll-out of countless furnishings and accessories. Because he’s only 40 and what he’s doing and does next is not only exciting but informative. Carr’s prowess in manufacturing is unrivalled (fun fact: it was Carr that realized Philippe Malouin’s 2017 AZ Award design), and his eye for talent – paired with a clear understanding of what consumers crave and need – incomparable. See Umbra Shift – Umbra’s brand extension ­– for proof. Veering away from the everyday and plastic, this collection of goods employs a mixed palette of materials and the brightest creatives, including Harry Allen, Lukas Peet and OS & OOS. 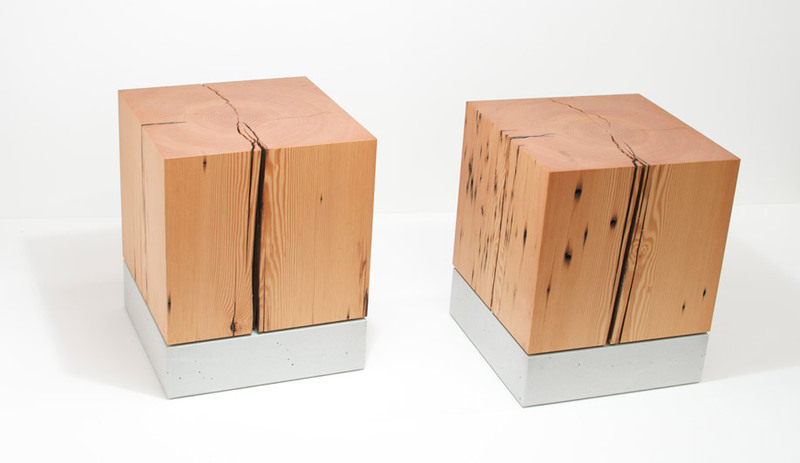 Turning industrial materials like concrete, steel and wood into refined works of art takes a special skill, and it’s one that Steven Pollock has in spades. Embracing the imperfections that come with working concrete as his medium, Pollock has developed a unique minimalist style to create sculptural yet functional pieces that reflect the inspiration he finds in nature and the architecture of his city. From deceptively simple circular concrete vessels to his squat Bentalls tables/stools (shown), which were influenced by the Bentall Towers where he worked in his past life in global telecommunications, Pollock’s work is intriguing and evocative of the west coast’s rugged landscape. Named designer of the year by Western Living magazine last year, Pollock continuously looks to the unexpected and unusual for inspiration. His recent Balance table reflects the precise engineering of construction cranes, with its cantilevered surface supported by two concrete columns. A trained sculptor who graduated from New York’s Pratt Institute, Barber founded his studio in 2014 to further refine his nature-influenced minimal style. His signature palette includes pale blue, pretty pink and pulsating orange – a vibrant antithesis of the heavy wood and dark colours that dominate west coast aesthetics. Along with being beautiful, Barber’s furniture and objects are made with sustainability top of mind. 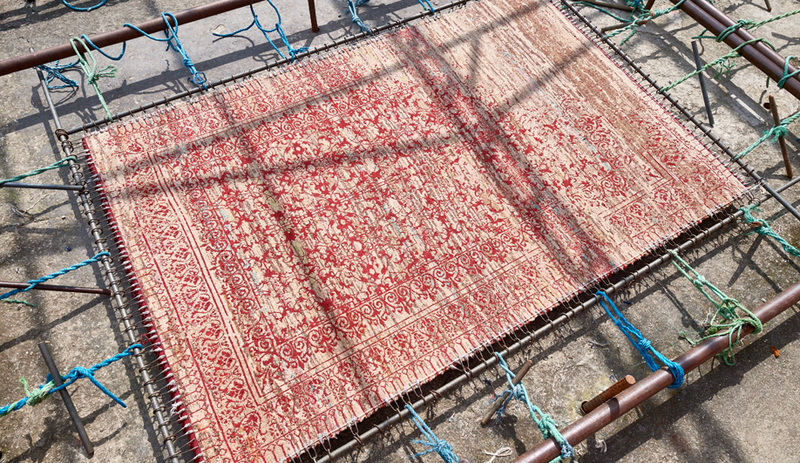 He sources metals and timber locally and restricts textile choices to eco-friendly ones. 26 Jordan Söderberg Mills, Toronto and U.K.
A native of Ontario, Söderberg Mills background is diverse. Combining academics with artistry, he has studied art history and architecture, been a blacksmith apprentice to sculptor Francisco Gazitua and completed a Master’s Degree at Central Saint Martins in London, U.K. His work is experimental, dynamic and sculptural, like Parabola 1 (shown) that uses optical glass and a parabolic reflector to invert and distort what is mirrored back to the viewer. He has exhibited in many of the world’s most coveted museum spaces like the Victoria and Albert Museum, and contributed projects to Toronto’s AGO and The Power Plant. A background in kinesiology may seem an unlikely influence on the work of glass artist Brad Turner, but when you see his work, it makes sense. Capturing both movement and balance, his blown-glass objects are conceptual and highly original and masterfully blend strength with fragility. 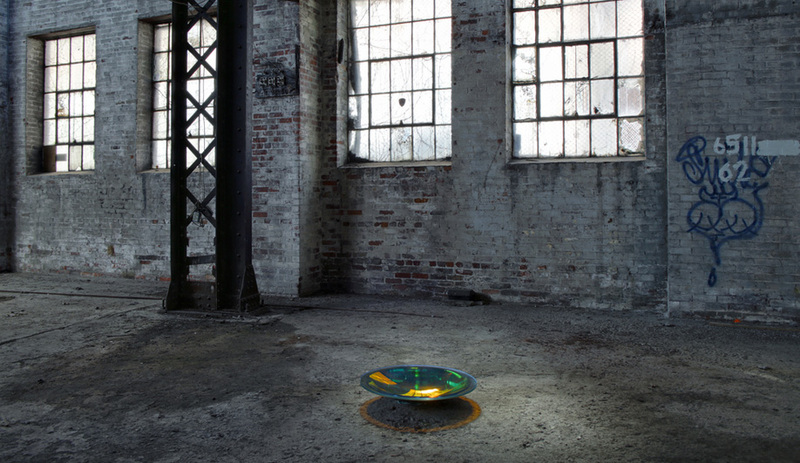 Turner brought his most recent experiment to Toronto this past January for an exhibit during the Toronto Design Offsite Festival – Trådon (shown), whose glass moves from transparent to opaque to soften the glow from where the bulb lies. 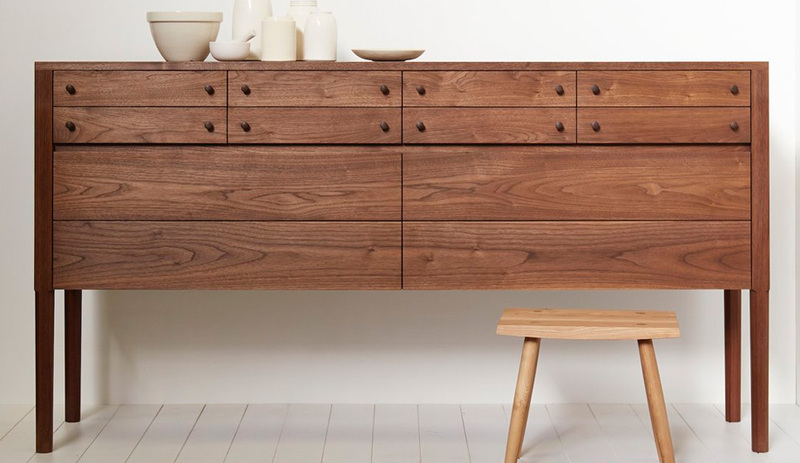 Directly after debuting his label in 2014 at Toronto’s Interior Design Show, Mischa Couvrette was filling one of the city’s swankiest furniture boutiques, Klaus, with his flawless, solid walnut and oak furnishings. 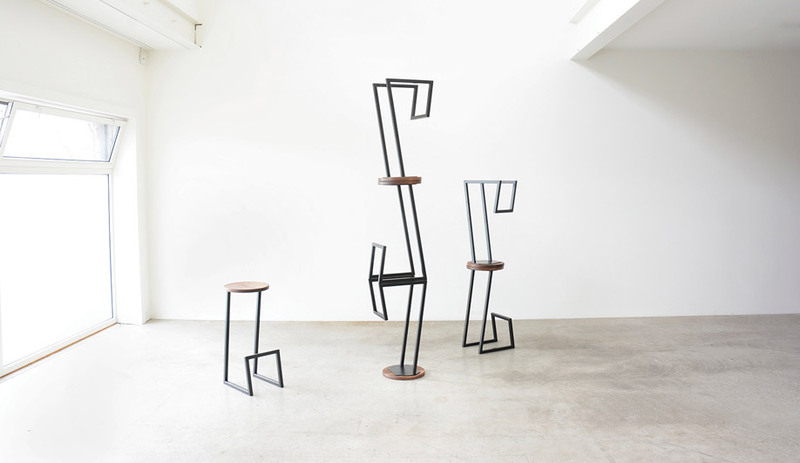 After that he – who cites Naoto Fukasawa as his idol – has shown at New York’s International Contemporary Furniture Fair consistently, adding zanier designs to his purist collection, including an eight-legged table and a wall sconce shaped like a lightning bolt. Couvrette’s studio has a knack for balancing minimal with fanciful, making every addition a bit of a surprise while still maintaining that Hollis+Morris signature. 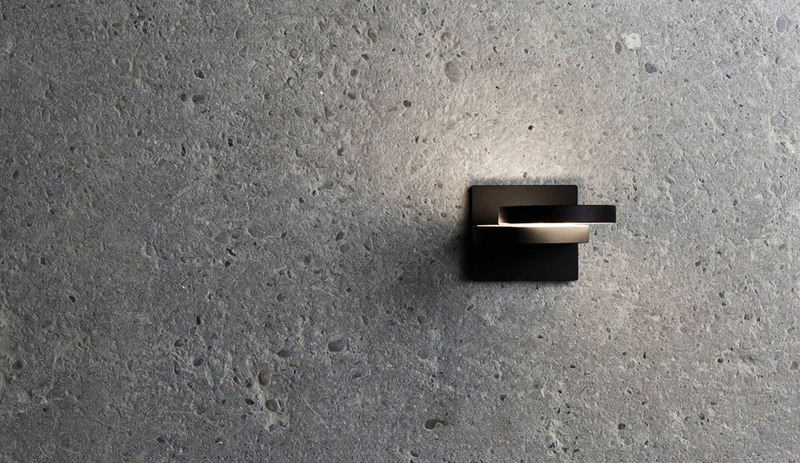 The studio’s just-launched Rise wall light was nominated for Best Sconce at the NYCxDesign Awards this year, and for good reason. The light, which combines a white oak or walnut front plate and brass or copper back plate, is reminiscent of a sunrise. It’s equally elegant and eye-catching. The multi-disciplinarian Rob Southcott is hardly a novice. What is new, and is sure to fast-track his career, is the company he launched in 2015 with former eyewear designer Sarah Cooper. Shelter Bay’s inaugural product release was a lighting collection, called Union, made-up of seven interchangeable, hand-welded steel parts. With four finishes and three coloured cords, there are hundreds of possible combinations. CSA-approved, the lights are made here and ready to ship, and with components ranging in price from $70 to $90, they certainly will. Shelter Bay was another shining star at ICFF. 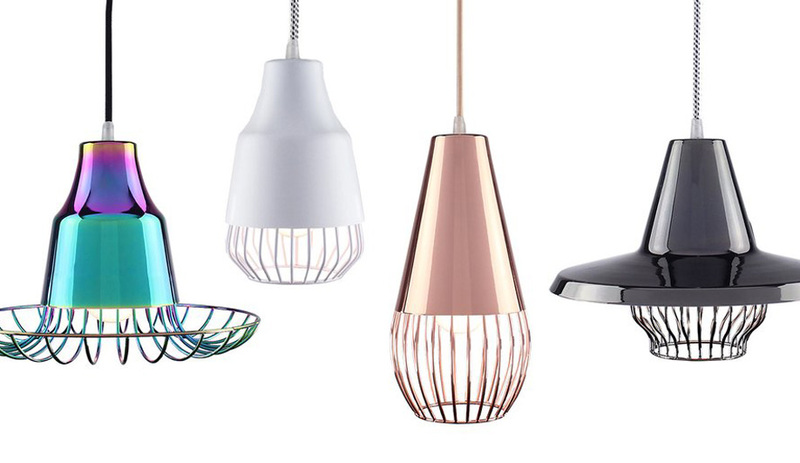 Three rows of the studio’s Union pendants demonstrated the many combinations of shades, cages and cord colours that the gleaming light is available in. 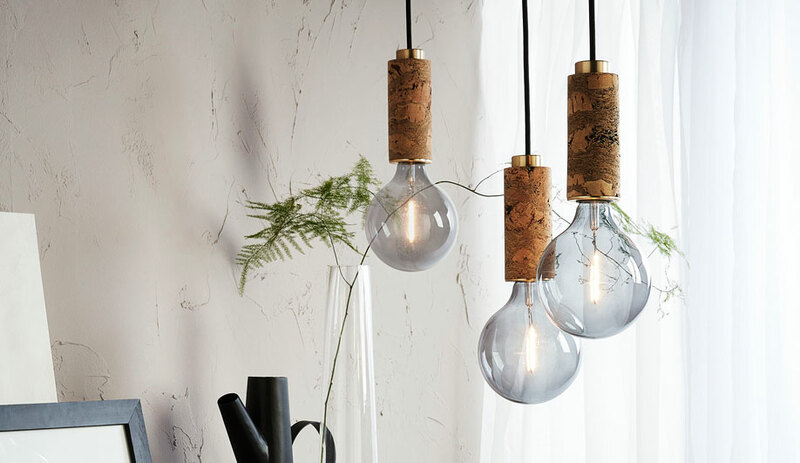 The duo also showed off a new accessory: Connect, a flat-pack candelabra, launching this summer in lustrous copper, aluminum and black metallic finishes. Stephanie Forsythe and Todd MacAllen are the creative force behind this ingenious studio, and have been on our radar even before winning Best Lighting Fixture in our first-ever AZ Awards back in 2010 for their Softlight. 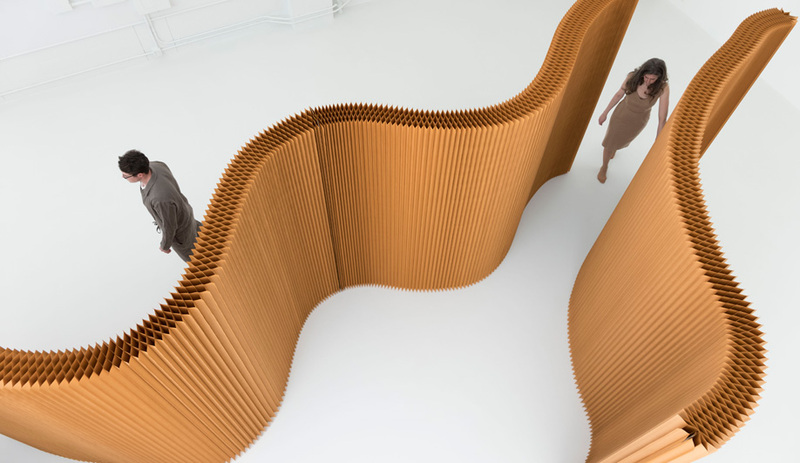 They were also AZ Awards Furniture Design finalists that year for their Softwall and Softblock system, a paper-craft extendable divider that was revolutionary in how it instantly and temporarily separated space with a simple and ubiquitous material applied in an ingenious way. 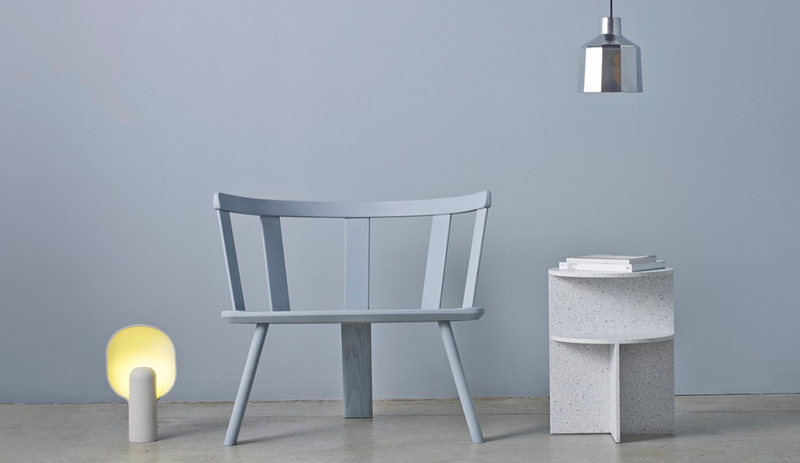 Why you should know them: Molo’s showing at this year’s ICFF in New York was a gorgeous spectacle, with its signature Softwall carving out a nearly five-metre-tall, two-room space that showcased their latest offering, the foldable, twistable and turnable Urchin softlight. Special thanks to Karen Kang, director of IDS Canada, and Adele Weder, a Canadian design and architecture writer and frequent Azure contributor, for their input.